This company purchased a neighboring company in the same state, and the benefits will enable the owner to have a stronger reach in space, and C4ISR markets for military and intelligence customers. Polaris Alpha today announced it is acquiring Solidyn Solutions, based in Denver, Colorado. 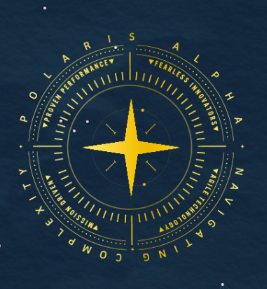 The acquisition enhances Polaris Alpha’s expertise in developing space-based solutions across a number of critical programs in the national security community. Solidyn Solutions has long focused on providing high quality engineering talent and cloud solutions to customers in the defense and Intelligence Communities. Peter Cannito, CEO, Polaris Alpha said that this acquisition enables Polaris Alpha to significantly strengthen its reach in the space and C4ISR markets for military and intelligence customers, and that Solidyn Solutions is deeply embedded within the Intelligence Community, one of their main areas of focus, and will enhance their relationship with their customers in that domain. Michael Pearson, co-owner, president, Solidyn Solutions added that they are extremely excited to become part of the Polaris Alpha team, and that the acquisition allows us to continue to fulfill our mission of providing high quality engineering talent to our customers, while also expanding their capabilities and reach through Polaris Alpha’s network of talent and resources. Jay Jesse, president, Polaris Alpha stated that Solidyn Solutions has quietly become one of the leading providers of engineering services for customers on classified contracts, an area that requires an unwavering commitment to customer service and security, and with more than 90 percent of its workforce holding high-level security clearances, Solidyn Solutions is a key piece to build upon Polaris Alpha’s continued expansion in the space and intelligence markets. J. Andrew Marshall, co-owner, vice president, Solidyn Solution stated that the acquisition will enable them to provide their customers with a broadly expanded offering of technology and services under the Polaris Alpha umbrella, and that Polaris Alpha has quickly become one of the leading technology providers in the defense contracting space, and they are excited to become part of such a fast-growing team, while also providing their customers with the best products and services that they possibly can. It is a transaction in which everyone wins.